Diana was born, grew up and completed her school education in Hertfordshire. She gained a BA in History from University of London and an MA in Local Government from the University of Kent. She then undertook various Law studies; spending time at the Universities of Zurich and Liege and the College of Law in Chester. She qualified as a solicitor in 1983, thereafter spending several years in legal practice in London developing a specialisation in European cross border litigation and private international law. Moving to Yorkshire in 1992 she continued her work as a solicitor also lecturing part time at The University of Hull in Comparative Law and European Business Law. In 1994 she was elected to Humberside County Council for the South Hunsley Division, which she continued to represent on the new East Riding Unitary Council until 1999. In June 1999 she was elected to the European Parliament and was re-elected in 2004 and 2009, finally serving five years as Vice President of the European Parliament. She resigned at the half term of the Parliamentary mandate in January 2012. As a parliamentarian the main focus of her legislative work and policy interests were Legal Affairs, particularly private international law, contract law and alternative dispute resolution, giving particular attention to mediation. Diana is continuing her interest in these areas as a Senior Fellow of the Law School at the University of Hull and an Associate of the Centre for Socio-Legal Studies at the University of Oxford. The bulk of her time since September 2013 has been devoted to her role as President of the European Law Institute (ELI). In June 2012 Diana completed the training with CEDR to become an Accredited Mediator. She is now European Consultant to CEDR and a neutral with CEDR’s dispute resolution service. She served as a board member of the International Mediation Institute from April 2012 to April 2016 Diana is also an Member of the Chartered Institute of Arbitrators ( MCIArb ). Diana is a full member of the EU Committee of the Law Society of England and Wales and a Member of the Board of Trustees of the British Institute of International and Comparative Law ( BIICL ). As a parliamentarian she was the author of a special Report of Enquiry into the collapse of the British insurer, Equitable Life which advocated amongst other recommendations the adoption of a European system of collective redress. A subject in which she still takes a keen interest. In external affairs she developed a close relationship with the EEA countries and Switzerland authoring two publications on this. In turn through her knowledge of Norway and Iceland this lead to a passion for the Arctic region where Diana is much associated with the development of the EU’s Arctic policy. She also facilitated what turned out to be a provocative publication on the Spitsbergen Treaty. Diana has also been a life long champion of language learning and the proper recognition of the work professional linguists. For a number of years she was President of the Institute of Translation and Interpreting and during that time became one of the first Fellows of the Chartered Institute of Linguists. Throughout her parliamentary career Diana has had a deep commitment to citizens issues through her membership of the Petitions Committee. She recently authored a publication on the fraught issue cross border property purchase. She was much involved with the development of the Europeans Citizens Initiative and remains a champion of the wider use direct democracy. She was a founder member of the Initiative and Referendum Institute Europe ( IRI Europe ) of which she remains a council member. In the summer of 2012 she was elected to the Council of Unlock Democracy which likewise campaigns for democratic renewal in a UK context. 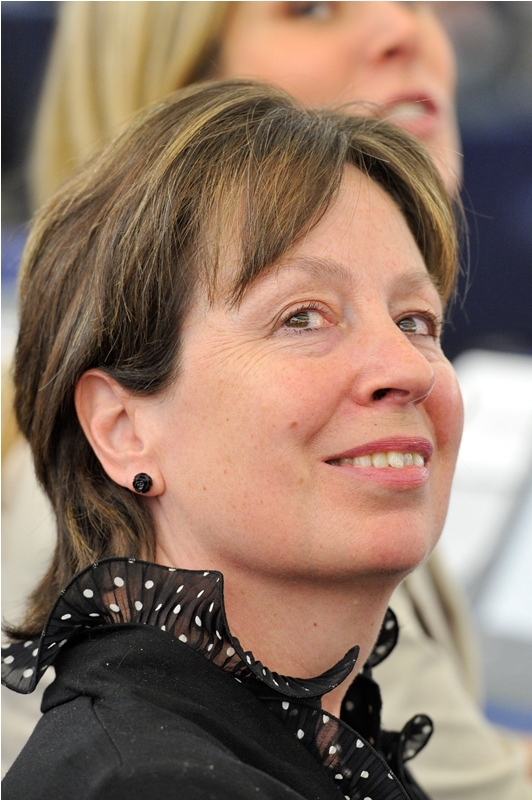 As a Vice President of Parliament she was responsible for Transparency and played a key role in negotiating with the European Commission the joint Transparency Register for lobbyists and others, she was also central to the team which drafted the new Code of Conduct for MEPs.